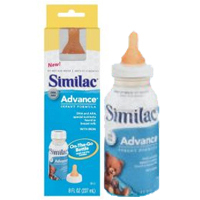 Use this $3/1 any Similac printable coupon to get free Similac On-The-Go Ready Feed (8 oz.). Babies’R’Us usually has it priced at around $2.49. It’s been reported that the coupon doesn’t beep and may even give you overage!